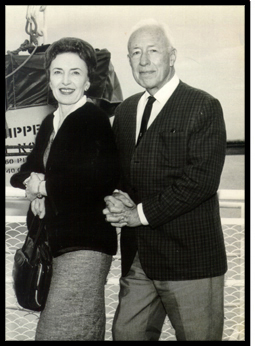 The Genevieve and Ward Orsinger Foundation was established by Genevieve Orsinger in 1997. In 1980, Genevieve and Ward gave fifteen acres of land to Bexar County to establish Orsinger Park. With the death of Ward in 1983, Genevieve elected to continue the work started during their marriage by building and dedicating a pavilion in Orsinger Park in memory of Ward. To ensure that the Orsinger legacy of philanthropic endeavors would continue beyond their lifetime, Genevieve established the Foundation. The Foundation reflects the philosophy of the Orsingers by giving to non-profit organizations that seek to improve lives by supporting organizations and institutions in Bexar County that give people the tools to become educated, healthy, and self-reliant through the grantmaking areas of Cultural Enrichment, Education and Human Services. The Genevieve and Ward Orsinger Foundation participated in a strategic planning retreat in June 2018. During this retreat, a vision statement was drafted to align with the mission statement and Genevieve and Ward's beliefs in helping others with a "hand up". In developing its strategic plan, the board has committed to a gradual spend out of its assets over the next 6 to 10 years as it works to hone in on a successful Strengthening the Family Unit/Dual Gen (Two Generation) endeavor to strengthen family units in Bexar, Comal, Guadalupe, Hays, Kendall and Travis counties. See the Guidelines for more information.